Marvel has released the Agents of S.H.I.E.L.D. Season 6 trailer and Phil Coulson is back. Though Clark Gregg returns as Agent Coulson, something is a bit off in the first look at the sixth season. The first teaser for the series, which premieres this summer, will more than likely leave a lot of Marvel fans scratching their heads and wondering how Coulson is back from the dead. It also appears that his brain may be scrambled yet again. While the Agents of S.H.I.E.L.D. Season 6 trailer may look like Agent Coulson is confused, it actually appears that he's turned evil, which would throw in a whole other level of mystery about the upcoming season. Is it a decoy? Or did the Spirit of Vengeance bring Coulson back and he's not exactly the same? We'll just have to wait and see, but fans will undoubtedly be looking for Captain Marvel clues, wondering if Clark Gregg's portrayal of young Agent Coulson will have any effect on the popular small screen series. Agents of S.H.I.E.L.D. star Chloe Bennet recently revealed that Agent Coulson is dead and it is believed that he will be dead when Season 6 begins. We last saw the character with Melinda May in Tahiti where he was living out the rest of his days after suffering a major wound. In the trailer, May confirms, "I was there until the very end." However, May offers a cryptic response after that. S.H.I.E.L.D. 's new director Mack says, "I'm glad you got a little time together," to which May solemnly replies, "More than we thought we would." Related: Agents of S.H.I.E.L.D. Already Renewed for Season 6 at ABC? The Agents of S.H.I.E.L.D. Season 6 trailer also shows Mack taking on his new role as director while the team searches for Fitz, who is frozen and lost in space. There's a lot of action teased in the trailer, but as with all teasers, it leaves a lot more questions than answers. While the summer premiere is pretty far away, MCU fans won't have to wait too much longer to see Agent Coulson since he'll be on the big screen in Captain Marvel at the beginning of March. With Captain Marvel opening soon, MCU fans might get some answers to Agent Coulson's return for Agents of S.H.I.E.L.D. Season 6, but Marvel Studios has done a pretty good job at keeping the big screen separated from the small screen. However, we could end up seeing a change of plans down the road with Phase 4 of the MCU on the way. 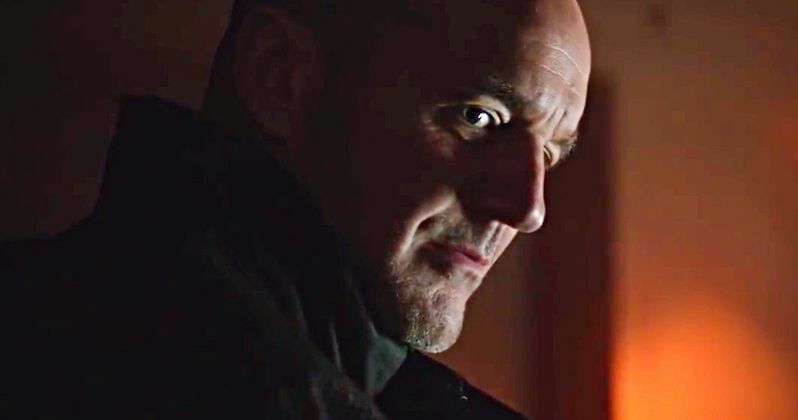 With that being said, there are so many questions as to how Agent Coulson is back and seemingly evil in the latest trailer for Agents of S.H.I.E.L.D. Season 6. Hopefully some answers come sooner rather than later. In the meantime, you can watch the trailer for Season 6 below, and form your own opinion. The trailer comes to us from the Marvel Entertainment YouTube channel. Agents of S.H.I.E.L.D. Already Renewed for Season 6 at ABC?